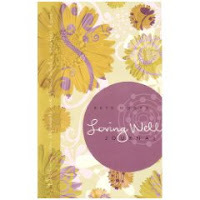 I recently completed a retreat weekend where the women of my church used the Loving Well curriculum by Beth Moore. It was a great study and a great weekend. Our small group is continuing to meet to discuss the 30-day journal that is a part of the study. My house was the first meeting spot.